Black Opal Books, 9781626947733, 328pp. "I swear by everything I ever owned that my adventure will be the honest truth-even if I had to tell a few lies along the way to get to the meaning of that truth." 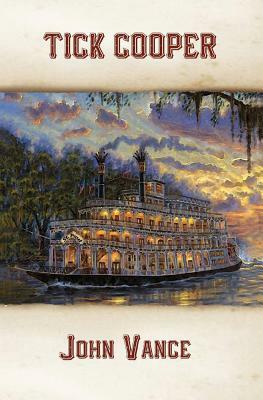 So promises Tick Cooper, a twelve year old Ohio boy who's about to accompany his Uncle Ned down the Ohio and Mississippi Rivers to New Orleans. It's the autumn of 1860, right before the election that will send Abraham Lincoln to the White House. With his mother deceased and his father having deserted him for the chance of gold in California, Tick has been most fortunate to receive the care and love of his father's older brother and his wife-Aunt Clara. Although she has recently passed away, she and Uncle Ned have educated the boy about living a good and proper life. But Tick hasn't had much of a chance to put what he's learned into practice-nor to face the moral challenges every young person will face as he or she grows up. But the river journey will provide plenty of those experiences and tests of character. Yet, reaching New Orleans does not conclude the lessons and challenges, for there Tick witnesses a slave auction, and on the block is a thirteen-year-old freed black girl named Clarissa, whom Tick had briefly met in Ohio. Now Tick faces his most significant challenge. Can he help get Clarissa back to Ohio all the way from New Orleans?